I typically write out what is new and where to find it in the emails I send out every time this site is updated, but I will plant that information here as well so people know where to look when something is new. 2/25/13 - WOW REALLY BAD AT UPDATING HERE. New Blog Entry to announce the winner of the Golden Dog Awards 2013. So many things I need to update about. For more current details in the meantime, please check out www.facebook.com/parkerpup. 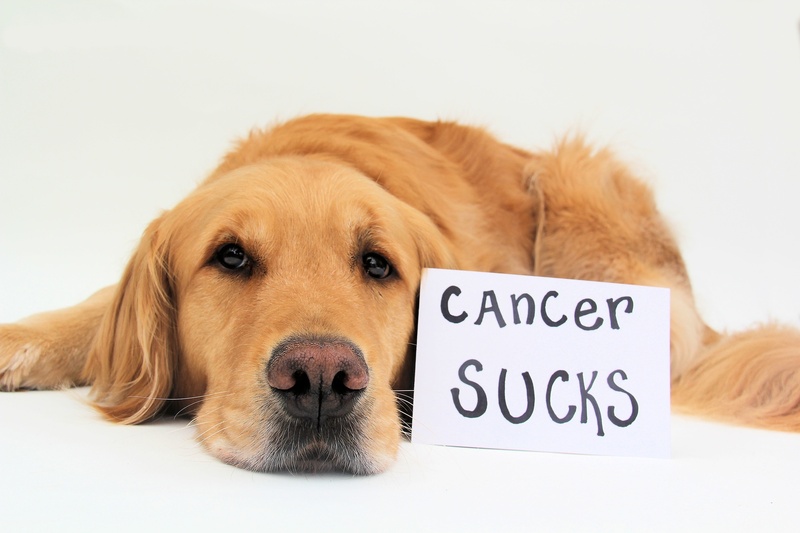 4/15/12 - New blog entry about my Cancer Campaign. 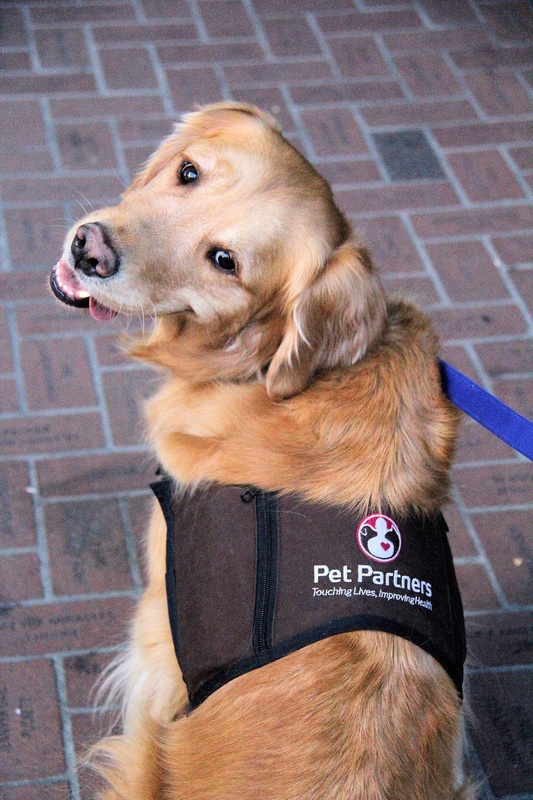 4/13/12 - New pages up for a summary of Parker's Professional Modeling and Registered Therapy Dog work. These are 'in progress'. Also updated Parker's Resume with some of his jobs that I didn't get around to until now. Bad owner, bad, bad! Starting to kind of catch up! 3/3/12 - Oops! Been awhile. New year, new page -- Page 9 is up and running with LOTS of new items of interest: a ParkerPup Web Store (Zazzle) + garage sale page. Also now a registered therapy dog, agility competitor at AKC trials, the new Tempurpedic catalog, & appearing in Fido Friendly Magazine Feb/Mar 2012 issue. Lastly, updated the photos section with MANY new photos. Got really behind -- sorry 'bout that! 12/3/2011 - Page 8 is now updated with Parker's ad in the Willamette Week Give Guide!, Parker & Daisy's Thanksgiving 2011 photo and their new Christmas video. 10/30/2011 - Happy 'Howl'-o-ween from Parker -- Page 8 now has a special Halloween greeting from a certain golden retriever (or... is it a pop-star?) as well as a birthday video from his birthday party back in August. 10/16/11 - Parker's new ad for Tempurpedic is live on the Tempurpedic website! Some of the photos are up on Page 8, and some in-detail and behind-the-scenes action can be found on his Doggie Bloggie. Also updated the 4 year old photos, with many pictures from the last month, including his week vacation at SunRiver. 9/17/11 - New blog entry up - check out Parker hanging out with Benny Beaver at the OSU Rally at the Square. There are also some photos (including round 2 of our Facebook Shout-Outs) up in the 3 year old photos... and also new birthday photos in the 4 year old photos! (Yes, we're behind!) Also a new Back To School Photo up on Page 8! 7/24/11 - New blog entry - contest results are in! 7/16/11 - New blog entry up for opening weekend of Harry Potter! A few new pictures also uploaded to the 3 Year Photos. 7/11/11 - New landing page for the Home link (where you are directed if you type in https://www.parkerpup.com/). Hoping it will give new visitors a general idea of what they will see when they visit. Landing page includes a short video with highlights of what to expect on this website. Comments or suggestions welcome! 7/9/11 - Complications with the start of our previous contest... so we're starting fresh! Check out the Contests page to submit your photo. Also uploaded tons of photos into the 3 Year Photo Album, including Facebook Fan Shout-outs. 7/4/11 - New contest announced at The Doggie Bloggie! 6/28/11 - Fixed some broken links. 6/8/11 - Updated The Doggie Bloggie - read about Beezus and Parker, err, I mean Ramona and Henry, an upcoming production in Washington County. 5/20/11 - Moved some old blogs from Parker's first two years of life to the new blog format. :) They can be found posted retroactively over at The Doggie Bloggie. Be looking for a new blog entry soon! 4/28/11 - A new blog entry is up in honor of the Royal Wedding! 3/29/11 - A new video is up on Page 8 -- Concert Star! 3/17/11 - A special St. Patrick's Day message is up for all of you on Page 8 from Parker himself. 2/27/11 - Parker's photoshoot for Metro (& resulting flyers) are on Page 8, as well as Parker's Oscar-anticipation photo. New photos have also been uploaded to the 3 Year Photo Album. 2/13/11 - Our Facebook Valentine's Day Contest Winners announced on Page 8! 2/12/11 - New photos published under the 3 Year Photo Album. 2/10/11 - See Page 8 for Parker's Valentine's Day Message! 1/19/11 - We are having a contest! See Page 8 for details or Parker's Facebook Fan Page. You have until Sunday 1/12/11 at 12:01 am! 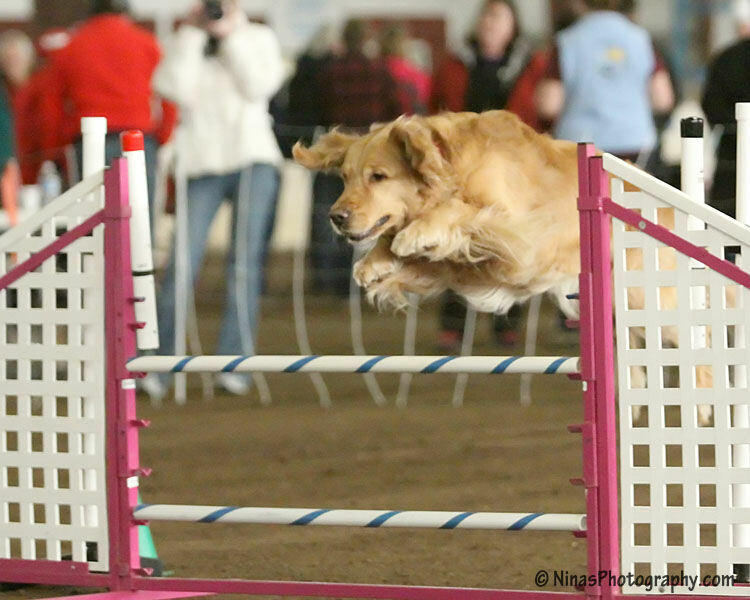 1/17/11 - Updated the Doggie Bloggie with a new clip of Parker doing an agility training session. We'll be gradually fading out the 'Sports' link/blog, and all that stuff will just go in our Doggie Bloggie. :) I think it will be easier that way. 1/9/11 - Parker's Resume and Page 8 have been updated with Spot Magazine's January 2011 issue with Parker on Page 19. 12/31/10 - Started out Page 8 with a new picture for the New Year! Photos have also been updated (and caught up some) under 3 Years Old. 12/12/10 - Added a sidebar to the site - any feedback, let us know! Also updated Page 7 with more ads from Norm Thompson, plus a holiday greeting from the pups. 11/24/10 - Parker's commercial debut is here! Check out Page 7. 11/6/10 - Page 7 now has been updated with another contest win and some behind the scenes photos from Parker's 1st commercial (Cable/Internet Service Provider). Also revamped (and renamed) About Parker page -- now at Parker's Resume! 10/21/10 - Uploaded some photos of Parker's Norm Thompson modeling gig on Page 7. He is starting to be featured on the website & is in their Autumn catalog. 10/20/10 - Happy Halloween! Page 7 now has our Halloween project - Twibite: A Doggy Twilight Spoof. Enjoy! More coming very soon... stay tuned! 9/16/10 - Updated the link section! Check out our good friend, Jeff's website: On Animal Time. Parker & Daisy are featured! Also posted a new blog entry on The Doggie Bloggie with photos from Jeff's visit. More photos will be posted under the photo section soon. 9/14/10 - We got word that some of our videos weren't showing up. Glitch has been fixed!! 9/6/10 - Page 7 now has Parker's 3 Year Old Video. Uploaded some photos to the 1 year and older photos under a new album - 3 years old. Also added a trip to Peninsula Park to The Doggie Bloggie. 8/28/10 - Updated with a brief birthday message on Page 7, plus started The Doggie Bloggie, a blog to document year 3 and on. First entry has a bunch of birthday photos and a quick recap of Parker's day. 7/3/10 - Happy 4th of July message now on Page 7! 7/1/10 - The Dog Blog has been updated with a little more about the catalog shoot. Also added some photos to the Album 1 Year and older photos. 6/29/10 - We now have drop-down menus to try to clean up the links at the top of the page . Please leave feedback (Contact Us) to let me know if you like it or not. I can always change it back. 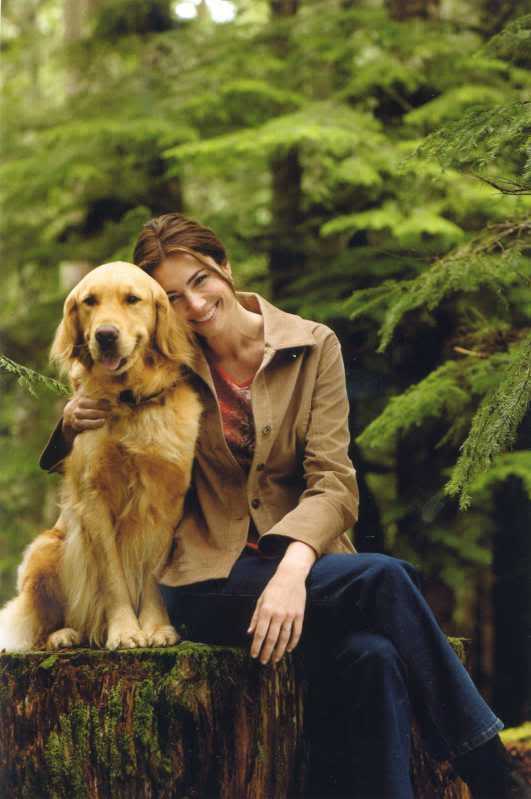 Major updates include... well, we now have a Page 7 (it just keeps growing), which has been updated with Parker's Professional Catalog Photoshoot (behind the scenes) and his 2 Doggie Olympic Gold Medals. 5/15/10 - Updated Page 6 with a new video, A Good Night! 4/24/10 - Updated Page 6 with Global Pet Expo 2010 & an Earth Day message. The Dog Blog updated with 2 features - Bedtime Stories & information regarding the upcoming event, Doggie Dash 2010, for which we will be leading a team. Also more photos added to the 1 Year and older photos section. Enjoy! 3/25/10 - Oops! I forgot to update with Parker's Vanity Fair video. It's now up on Page 6 (under his Vanity Fair entry). 3/23/10 - Page 6 updated with St. Patrick's Day photo, plus Contests link updated, and 1-2 Year Photos updated with lots of photos taken since November -- oops! Sorry for the delay in updates. 12/11/09 - Page 6 now has Parker & Daisy's 2009 Holiday greeting! 11/25/09 - Updated the Halloween entry on Page 5 with contest winnings on pdxdog.com, Jax & Bones & PetUtopia! Page 5 also showcases Parker's Modern Dog Magazine win (dog of the week). Finally, we have hit Page 6 where perhaps the biggest news yet -- Parker is in Vanity Fair! Also updated 1 Year and older photos with photos taken in September, October & November. 10/19/09 - New Halloween greeting on Page 5! 10/15/09 - Parker won a photo contest over at PEOPLE Magazine's pet website, it's on Page 5. :) Added a few new links to Parker's Facebook page all over. Also updated the News section with some of the clips of Parker on Good Day Oregon. 10/10/09 - Parker's 2nd birthday video is now up on Page 5! I also updated the FAQ -- been getting questions asking about US (I don't know why people care, but okay..) and then updated Daisy Dog's page with her birthday video, wishes from friends, and a little fun update about how she was on the news! Enjoy! 9/26/09 - Sorry, still a little behind! Hoping to get Parker's birthday post up here pretty soon, but in the meantime we've updated his photo album (now 1 year and older photos)! 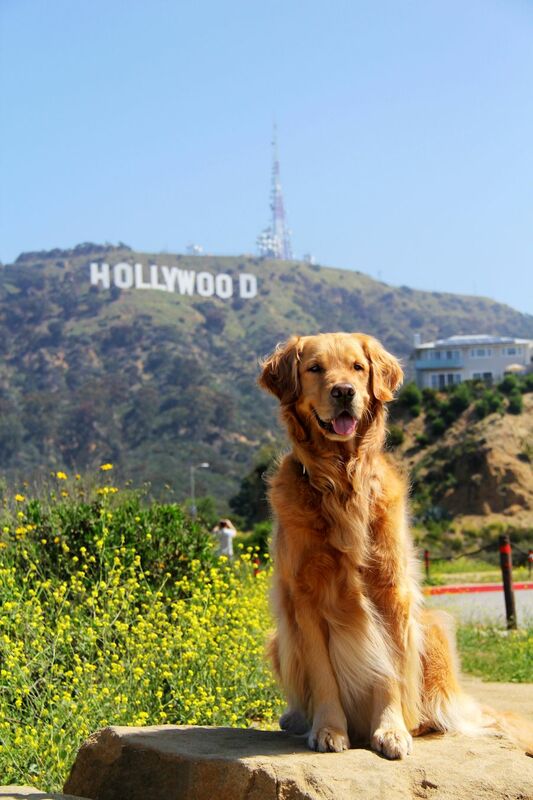 Also check out the Contests link with his latest shot at Modern Dog Magazine! 7/4/09 - New photos up on Page 5 with a special shout-out for the 4th of July. 7/2/09 - Put up 2 more videos to Page 5! One is news coverage with Parker, and the other is just a fun little clip of Parker playing with his brand new giant tennis ball. 6/29/09 - Portland's Next Top Dog Model video has been added to Page 5! Another video should be appearing in the same section in awhile! More to come soon! 6/9/09 - Parker's TV announcement on Good Day Oregon for Portland's Next Top Dog Model is now up on Page 5! 5/14/09 - We now have Doggie Dash pictures up under 1 year and older photos under 20 months. Doggie Dash video on The Dog Blog. 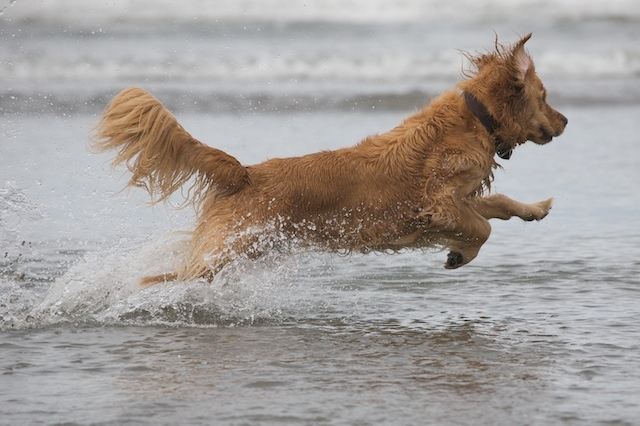 And Parker won Canines For Clean Water Photo Contest for 2008 -- update on Page 5! Plus we added lots of links to Parker's Facebook Fan page for updates. 3/9/09 - First want to thank you for all your nice emails and comments about Sophie. As for updates: Added 1 photo to the 1 year and older photos under 18 months (birthday wishes for another golden on The Gold Post) and also updated his Facebook page link under the Subscribe link (he now has a "page" as opposed to a "group".... You can also just click here to go directly to the Facebook Page! 2/28/09 - Added some new photos to the 1 Year Photos under 18 months. 1/26/09 - Uploaded some new photos of Parker from Alfie's birthday party at Lexidog in the Pearl to the 16 month photo album in the 1 year and older photos. Also added Parker's guest-starring voice-over webisode of the popular online tween show Ella, More Or Less to Page 4. 1/17/09 - Redid the Coming Home and the Parker's Toys video, both found on the Home page. Also re-uploaded the video of Daisy & Parker in Synchronized Spinning on Daisy Dog's page. :) There's a new video on the FAQ page on how to trim your dogs feet. You'll have to bear with me.. we are in the process of editing a few of our videos so if any randomly disappear, just know they are not gone for good and I will have them back up and running soon!